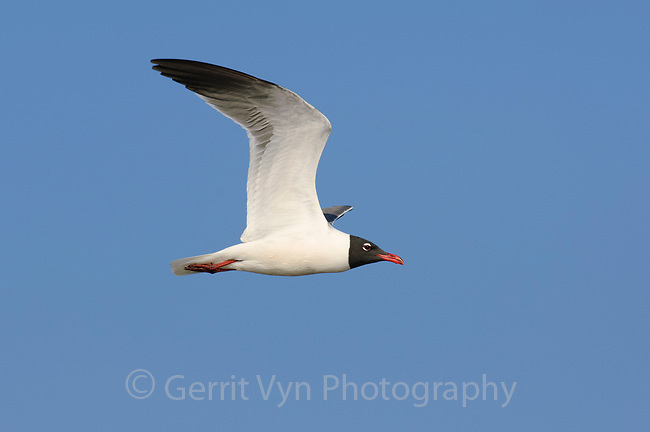 Adult Laughing Gull (Larus atricilla) in breeding plumage in flight. Texas. March.